How can we stop infectious disease outbreaks from becoming global health epidemics in an increasingly connected world? In 2013, Ikana Health Action Lab began an epidemic preparedness initiative. It Takes All of Us rallies us all to put measures in place to prevent epidemics. Build awareness, increase understanding, humanize the issue, create educational materials, call communities to action. Align multi-stakeholder audiences to a shared message encouraging high-level commitments and coordinated action. Strengthen global health capacities by meeting critical needs of frontline healthcare workers and communities. Click through the highlights below to discover some of the impact our content, advocacy and solutions are having, and who we're working with around the world. Our feature-length documentary film depicts three stories of lives on the frontlines of infectious disease outbreaks in Brazil, Liberia, and the United States. Unseen Enemy conveys how the effects of epidemics reach far beyond the terrible tolls of sickness and death. For international streaming, please contact us. Get in touch for specific distribution information. We cut six films in addition to our original release, tailoring each to a specific stakeholder or public audience in North America, Europe, India, United Kingdom, China, Japan, Brazil, Africa. We also made the film accessible to a global audience, subtitling or dubbing it in 11 langages. We created 100+ short videos for in-person events, social media channels, and advocacy platforms. They were distributed through a comprehensive global health network on digital media channels as well as in-person events on 5 continents. In addition to the film and short content, we developed targeted calls-to-action and worked with partners to implement them. We brought our messages to events and stakeholder meetings around the world, touching every continent and over 60 organizations. We engaged 60+ organizations, institutions, universities, and businesses in film screenings or short video content and dialogues on epidemic preparedness. Unseen Enemy engaged people at 83 events in 29 countries on 6 continents on infectious disease epidemics, health systems and global preparedness. 37,000 signatures: At the end of Unseen Enemy we called audiences to action, asking them to sign a pandemics petition we initiatied with Global Citizen. Official Handover Prior to the G20, we delivered the petition to German Minister of Health, Hermann Gröhe. 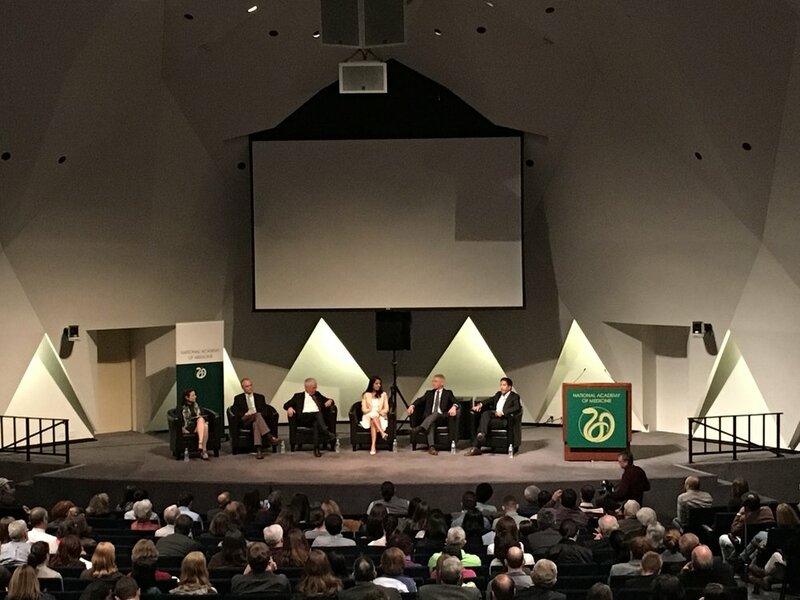 Reaching Millennials: "Fighting the Next Outbreak: 'Unseen Enemy' Director Janet Tobias on the Danger of Pandemics"
Following a 2 minute video excerpt, Soka Moses shared his story with over 11,000 people in-person at the festival. See Dr. Soka Moses take the stage! 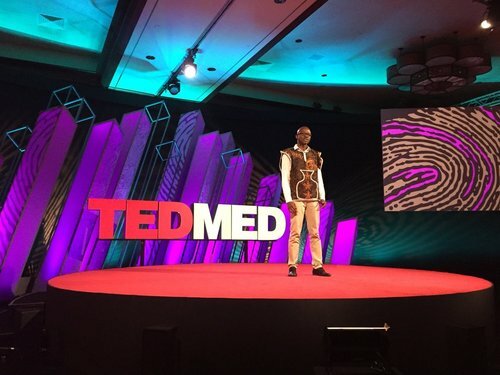 Inspiring Action: "How Two Ordinary Citizens Stepped Up to Be Legit Changemakers in Global Health"
"Some of the most touching stories came from those on the frontlines of healthcare."